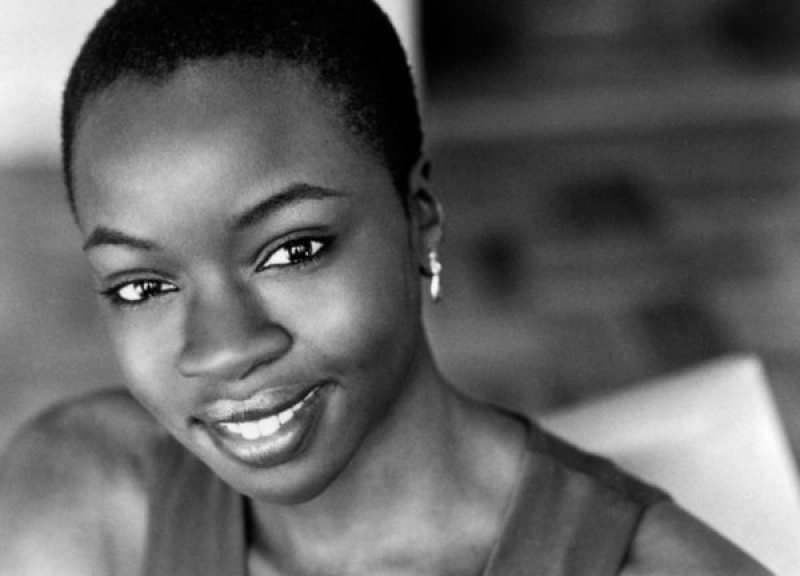 Danai Jekesai Gurira is a Zimbabwean-American actress and playwright. 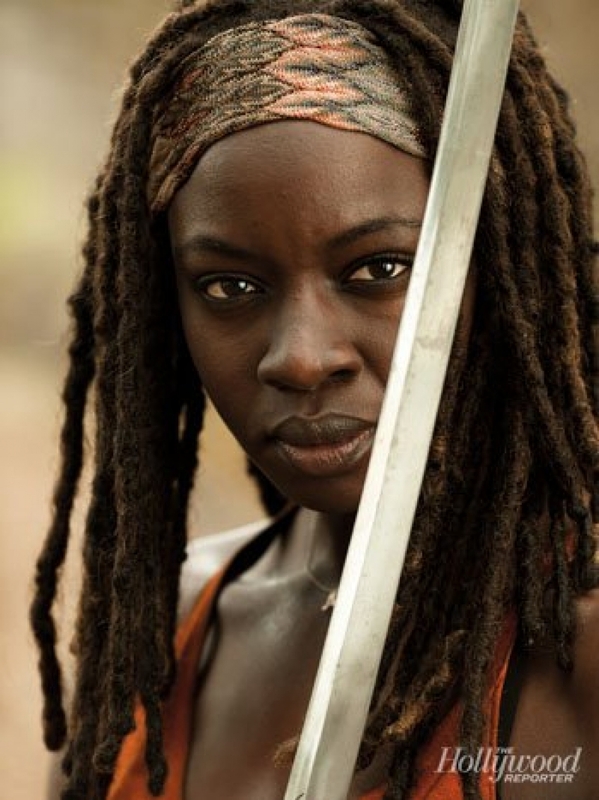 She is best known for her role as Michonne on the AMC drama series The Walking Dead. Gurira was born in Grinnell, Iowa and was raised there until December 1983, when she moved with her family to Harare, Zimbabwe. She has an older brother who is a chiropractor and two older sisters, while her mother is a university librarian and her father is a chemistry professor at the University of Wisconsin–Platteville. She returned to the United States at age 19 to study at Macalester College. She earned her MFA at New York University's Tisch School of the Arts. 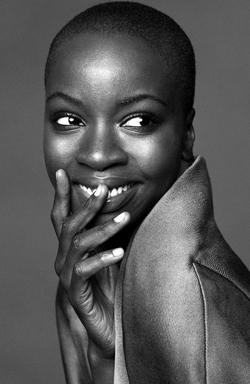 In 2006, Gurira won an Obie Award and Outer Critics Circle Award for writing, and a Helen Hayes Award for Best Lead Actress for off-Broadway play In the Continuum. She starred in the 2007 film The Visitor, for which she won Method Fest Film Festival for Best Supporting Actress. She appeared in Ghost Town, 3 Backyards, My Soul to Take, and Restless City. She has guest starred in Law & Order: Criminal Intent, Life on Mars, and Law & Order. In 2009, Gurira debuted on Broadway in August Wilson's play Joe Turner's Come and Gone. From 2010 to 2011, she appeared in the HBO drama series Treme. Gurira's play, In the Continuum, commemorated World AIDS Day in December 2011. In March 2012, it was announced that she would join the cast of AMC's drama series The Walking Dead in the third season as Michonne. The same year, she received the Whiting Writers' Award. Gurira played a lead role in the independent drama film Mother of George, which premiered at 2013 Sundance Film Festival. Gurira received critical acclaim for her performance in the movie. In June 2013, Gurira won the Jean-Claude Gahd Dam award at the 2013 Guys Choice Awards. 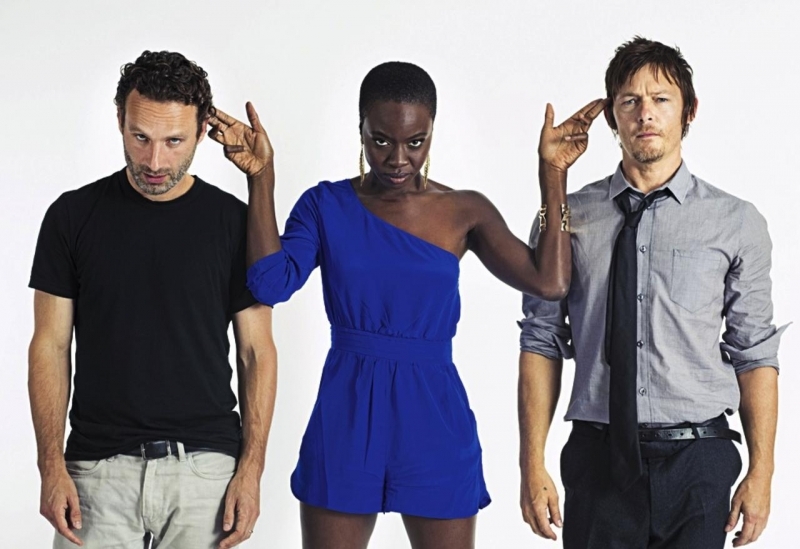 Gurira is a Christian. In 2008, she appeared at the Global Green Sustainable Design Awards to read a letter written by a New Orleans native displaced by Hurricane Katrina. Gurira co-founded Almasi in 2011, an organization dedicated to continuing arts education in Zimbabwe.